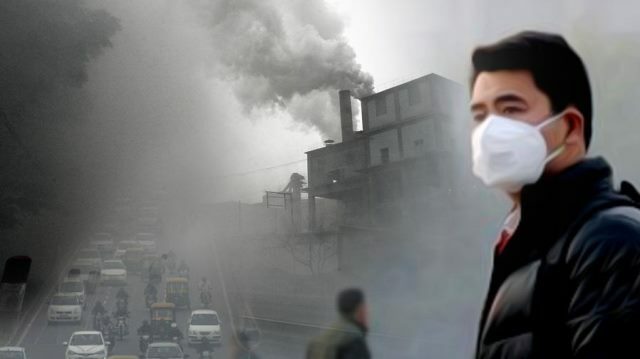 Recently when reports appeared in a section of the national media that many government offices, including the Prime Minister's office, purchased a number of air purifiers, the news stories did not attract much attention. Perhaps because the top functionaries in the government have every right to insulate themselves from rising pollution that is increasingly claiming lives of the common people living in the national capital. But environmentalists who are worried over the deteriorating air quality in New Delhi were more upset than bemused by the information that even the NITI Aayog mandarins, sitting in the heart of Lutyens's Delhi, should go for their own safety rather than taking concrete steps to reduce pollution. But then it's not just a story of a few hundred air purifiers being purchase by Government of India. It shows the abject failure of entire machinery over the years in tackling this monster. Recently, when the best of economic brains of the world were discussing ways and means to improve global economy at Davos in January 2018, a small report, brought out by two American universities, was released on the sidelines of the much-hyped World Economic Forum meet. Known as the Environmental Performance Index (EPI), it is published every two years and shows different nations' performance not in the field of economy but on the environmental front. In the list of 180 countries, shockingly, India stood at 177th position. In 2016, India occupied 141st slot, meaning she slid down by as many as 36 ranks to be competing with neighbours China and Pakistan--which also face the public health crisis, as per the report. The major reason for this shockingly poor performance at global level was due to deteriorating air quality all across the country and not just in the national capital region (NCR) of New Delhi. It is with this background, I have attempted to highlight the issues of pollution in times of climate change challenges India is facing. Growing population and its never-lasting needs have been bringing enormous pressures on the natural resources of the one and only planet we live on. Environmentalists,scientists and politicians have been working untiringly to look for solutions that would make human life more comfortable, enjoyable and less strenuous. In other words, they are trying to avert the disaster. In critical times of climate change and global warming if we look at the most serious of the problems that are threatening the very existence of human life today, they are : 1) the greenhouse gases (GHGs) emissions, 2. water scarcity and 3. pollution--air, water, soil and solid waste, among a few more. The November 2017 global congregation of over 195 countries and of many NGOs, under the annual Conference of Parties (CoP 23) at Bonn in Germany, once again deliberated upon the uphill task of reducing the imminent rise in global temperatures, controlling carbon release into atmosphere and how to cope with the other climate change challenges. Limit less greed of the humankind and consequent processes of industrialisation and a set of commercial activities, coupled with the advent of newer and newer technologies to meet the multi dimensional needs of millions of people are undoubtedly impacting the environment we all live in, as never before. A lot has been said and being written about climate change, as also about water scarcity the world is facing with fast depleting sources of fresh water all across the continents as well as in India. Scholars, scientists, researchers, journalists and domain experts are dutifully presenting the grim scenario that we are going to witness in a few years from now. Yet, in India, unlike in Israel, for instance, we have not really understood the looming threat of acute water shortages, including for drinking purpose, let alone for other uses such as agriculture and industrial. I say it from my personal experience of saving a huge urban lake--it took me and my colleagues over 20 years--that people still take it for granted that water would continue to be available to them at will and infinitely. These are important times when India is slowly watching a political dream of 'New India' unfold before their eyes by 2022. New India would mean different things to different people. And that is natural. What is common, however, is a dream of a country which is corruption-free, more or less crime free and pollution-free and where leading one's life with dignity for any ordinary man and woman would be easy and stress-free. In this backdrop, I would like to confine myself to the rising threat of pollution, the dangerous facet of the environment we are living in. Or to be precise, to air pollution in urban India which has shaken all and sundry. Since I work in the field of environment and have witnessed worst spells of air pollution in the national capital, New Delhi in the past few years, I am writing on it, especially with the EPI ratings of WEF, Davos having come into public domain now. But this does not mean pollution levels are crossing their limits only in the mega city of New Delhi or NCR, the home to more than two crore people--rich and poor ! Be it Lucknow or Gwalior, Kanpur or Raipur, Indore or Singrauli--one finds the deadly menace all over. Unfortunately, our official system is not effectively tracking the air quality in a large number of cities. People residing there are equally exposed to toxic air, as they are in New Delhi. Air pollution or smog ( smoke laden fog) that we find in 21st century urban world has had its origin in the West where the world first experienced it in worst form in December 1952 in British capital London. British authorities sat up to realise that they are paying the price of wanton industrialisation. Coal was the early villain, as they found out later. Although, Britain had earlier laws relating to smoke and pollution ( The Smoke Abetment Act 1853 and 1926), the Great London Smog of 1952 ( there is also a reference available of such an event in 1873) shook the entire world. British empire was the mighty ruler of the world in those times and under the nose of the King and the Queen, the London skyline got blurred and blackened. Besides the world wide humiliation of British powers, the four-day long smog had killed as many as 4000 people! Early historical evidences in environmental studies suggest ( Source: Ecology in History/ Environment History Reader, CSE, New Delhi 2015) existence of air pollution since the 13th Century when King Edward-I had to ban use of sea-coal to prevent air pollution and permit use of wood instead. Many offenders were put to death but that had failed to deter London's residents. Elsewhere, in the world, Mexico, Brazil (Sao Paolo) have had their share of urban air pollution. But in India, urban pollution is a problem of pretty recent origins but has acquired humongous proportions very fast with some senior and responsible medical experts in the government sector saying New Delhi's continued pollution levels kill approximately 30,000 people annually....meaning 2500 deaths per month means 104/105 people daily. Is that not a shocking figure ? Nowhere in the world perhaps innocent people are perishing with this frightening rate. The mortality figures of other cities are not yet available. The Delhi air pollution was so severe that the air quality monitoring machines almost crashed as the particulate matter (PM 2.5 ) levels crossed 1000 mark soon after Diwali festival of 2017. This was despite a ban order issued by the Supreme Court on sale and purchase of fire crackers a fortnight before Diwali, India's most celebrated ancient festival. Since air pollution ( as also water or food pollution) is a silent and slow killer, people did not pay serious attention to it earlier, though NGOs and doctors have been raising voice for more than 30 years now. The Environment Ministry formed the Bhurelal committee in 1998 ( known as Environment Pollution Control Authority) on Supreme Court instructions with wide ranging powers but that has also not been able to do much. In March, 2018 the EPCA came to realise that the environment cess clamped on polluting trucks entering Delhi showed a shortfall of Rs 800 crores. In other words, polluting trucks were still entering Delhi municipal limits and adding to the problem which EPCA was wanting to eliminate. With the consistent failure of the political and administrative wings, the judiciary stepped in and issued orders from time to time for passing of relevant laws to curb pollution. Now the Bharat-6 standard is being made mandatory for automobiles and that's an encouraging sign. India woke up to (water ) pollution first as it enacted The Water ( Prevention and Control of Pollution), Act 1974 by which the Central Pollution Control Board (CPCB), the top pollution control agency of the Government of India, is governed. In the wake of the Bhopal Gas Disaster of 1984, the new all-encompassing Environment ( Protection ) Act 1986 was passed to take care of different aspects of environment and a number of rules were framed under it, including one related to building materials in 2016. The pollution control story in fact began from that point. What was however, very embarrassing for the nation collectively, was the media reports of 2015 when American President Barack Obama visited India and stayed in New Delhi as the chief guest for the R-Day parade and related functions. The reports in American media suggested that their President may have lost at least six hours of his total lifetime due to inhaling extremely polluted air of New Delhi during his three-day state visit--meaning two hours a day ! The causes of the pollution in Delhi have been identified--from automobiles fuels ( Delhi has over a crore registered vehicles plying on its roads) to agriculture stubble burning in neighbouring states of Punjab, Haryana and UP, to the power plants emissions ( now the old Badarpur power plant is being closed down) and building construction activities to the rising desertification--all this combines to create and mix small particles of dust and other elements into the air that people inhale. Forest cover loss is also one of the reasons adding to pollution in the atmosphere. These fine particles result in bronchitis and other ailments and take the heavy toll on human life, as has been said above. Awareness campaigns, fuel-efficient automobiles, making easy medical treatment available and searching alternatives for crop burning as lasting solutions are still a long way. Urbanisation, industrialisation, lax implementation of laws and people's apathy have all been actually responsible for what is seen as an avoidable problem resulting in large number of deaths. Air purifiers are NOT the solution. It may save the high and mighty but what about the men and women in street ? The labourers ? The vendors selling food and other items ? The traffic constables ? For a modern country, launching satellites missiles into the space one after the other, controlling pollution should not have been a problem. Most of the progressive countries have shown us the way. But the problem in India was of strong political will which is now being shown to fix it with stern implementation of existing laws and a new set of measures, scientific and administrative, both. A budgetary announcement in 2018, does indicate a ray of hope as the issue of crop burning is now being tackled from the top. Environment Ministry also did its bit earlier this year by launching a campaign. But the EPI ratings of Davos should actually jolt the policy makers and executive more seriously into taking quick and harsh measures to mitigate this menace. How insurance plays an important part in every phase of your life?